High-quality wired cabinet for security video surveillance; Designed for indoor installation; Metal housing; Color, matrix 1/3 Sony CCD, resolution 420 TV lines; LENS TO THE CAMERA ACQUIRES SEPARATELY; Without IR illuminator; Compact size. 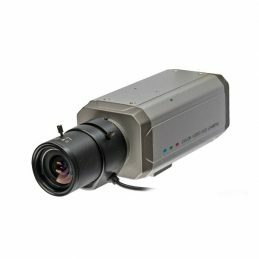 Matrix 1 / 2.8 "Progressive Scan CMOS - 2 Mp (1920 x 1080); Audio input and output, alarm input and output; Micro SD card slot (SD / SDHC / SDXC) up to 128GB; WDR 140dB, 3D DNR, BLC / HLC, ROI, SVC, Defog, EIS, BLC; Support for ONVIF, PSIA, CGI; Advanced video analytics; Power / consumption: DC 12V / AC 24V / PoE (802.3af) / 9W. 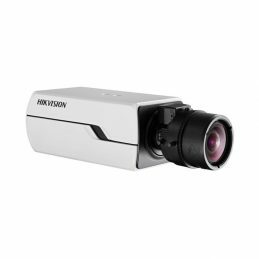 Matrix 1/3 "Progressive Scan CMOS - 1.3 MP (1280 x 960); Audio input and output; Micro SD card slot (SD / SDHC / SDXC) up to 64GB; 120dB WDR, 3D DNR, BLC / HLC, ABF , VQD, ROI, SVC, Defog, EIS, BLC; Support for ONVIF, PSIA, CGI; Power / consumption: DC 12V / PoE / 9W.